As part of the North American launch of DynaVue, JPI Healthcare Solutions is teaming up with ClienTrax to showcase the new 2-in-1 fluoroscopy and digital x-ray system at WVC Booth #3313 on February 18th-20th. 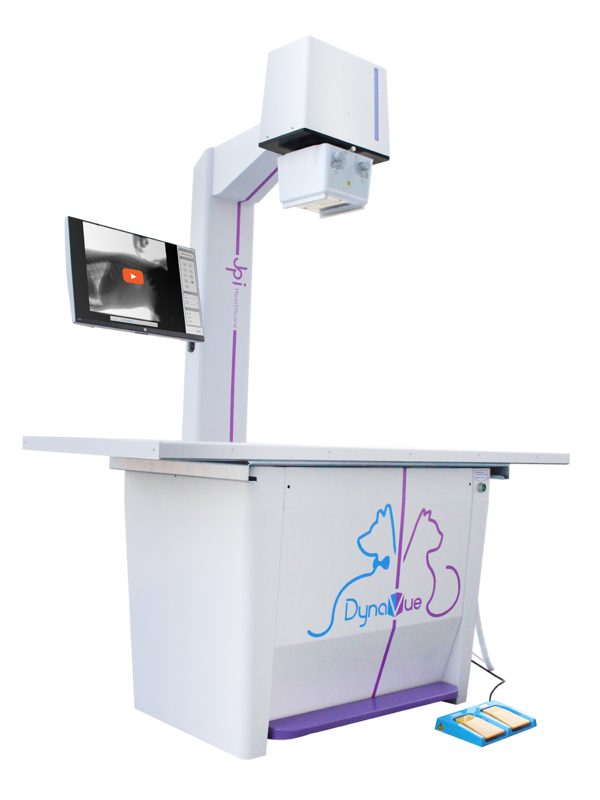 The newly-available DynaVue system from JPI is a digital radiography and fluoroscopy solution for veterinary interventional examination. DynaVue is powered by JPI's ExamVue software. DynaVue combines user-friendly design and great imaging quality using a photodiode array sensor (PSA) and wavelet transformation, which provides enhanced, real time fluoroscopy. If you'll be at the show, feel free to stop by Booth #3313. If you'd like to learn more about the all-new DynaVue system, contact your account manager or call 516-513-1330 ext. 3 today.